Great Runs is the ultimate guide to the best routes in the world’s major cities and destinations. It’s for travelers who run and runners who travel. The main purpose is to answer the following question: I am going to [Chicago, Los Angeles, London…] — where should I go running? We also provide other essential information for the traveler who runs: where to stay near the routes, where are the local run shops, group runs and running clubs, and what are the signature events on that city’s annual running calendar. We’re focused on the most interesting/beautiful/iconic routes in or near major cities. For runners who get stuck staying near an airport, convention center, or major office park, we have suggestions for you, too. The 50 largest cities in North America, including 6 cities in Canada, plus popular travel/running spots from Savannah to Boulder. Seasonal guides and lists, such as Best Beaches for Running, Top Fall Foliage Runs in Vermont, Favorite Spring Runs, etc. This guide is for travelers who run and runners who travel. It is oriented toward those who are visiting a location, and for those who live in that city. We also try to address the needs of the business traveler, by pointing out running options near airports and convention centers, and other business-centric locations. This is for your daily, typical runner. The average length of our routes is ~5 miles, and most of our routes have multiple mileage options. It’s also for the runner who likes to explore. In many cases, rather than proscribe a particular route, we suggest a particular area and you can do whatever distance you like. Our objective: A guide to the best places to run in every city/destination…sort of a runner’s “bucket list”. 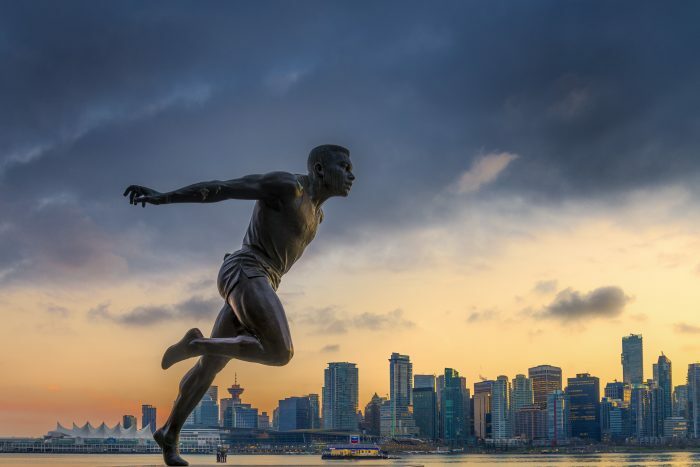 As runners who have traveled extensively for work for 20+ years, we’ve had the opportunity to discover great places to run in the world’s major cities. We wanted to share these with fellow runners and travelers. This is also a planning tool to help travelers avoid the misfortune of staying in an area with few decent running options. We also noticed that popular apps such as MapMyRun (MMR) and Runkeeper are great for recording your runs and even finding routes, but fall short in the areas of curation or context. Go to MMR and enter “find a route in downtown Boston” and you are presented with — literally — thousands of options. We are trying to complement the rich functionality and information in those apps. Lists all of the major cities in one place with a detailed and consistent format. Puts a stake in the ground with suggestions of ‘the most iconic routes’. Provides other essential information, such as where to stay near the routes, plus info on running stores, group runs, and major running events. We spent countless hours doing detailed primary research. We’ve traveled to most of these cities, and have also talked to experts at local running stores and running groups, and conducted extensive research.